PDF is one of the most popular and therefore most frequently used formats. PDF documents may contain tremendous amounts of information on scores of pages. When working with multi-page files, we are often confronted with page count difficulties. Software developers have invented a compact and handy tool that counts pages in less than no time and with minimum effort on your part! If you are tired of racking your brain about the amount of pages in your PDF files, Tiff Teller from CoolUtils is a must-have tool for you. It will give you all there is to know about your TIFF and PDF files, including page numbers, date of creation and modification, size, compression, etc. With this program, you can study your files in batch. 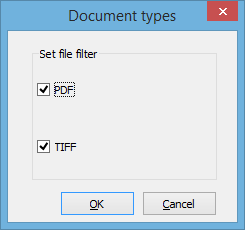 If you have folders with many PDF or TIFF files, select one, and a list of files will be displayed in the main panel. All file information will be arranged in columns. TIFF Teller has a robust and intuitive interface, and it does not take much skill or talent to learn how to handle it. 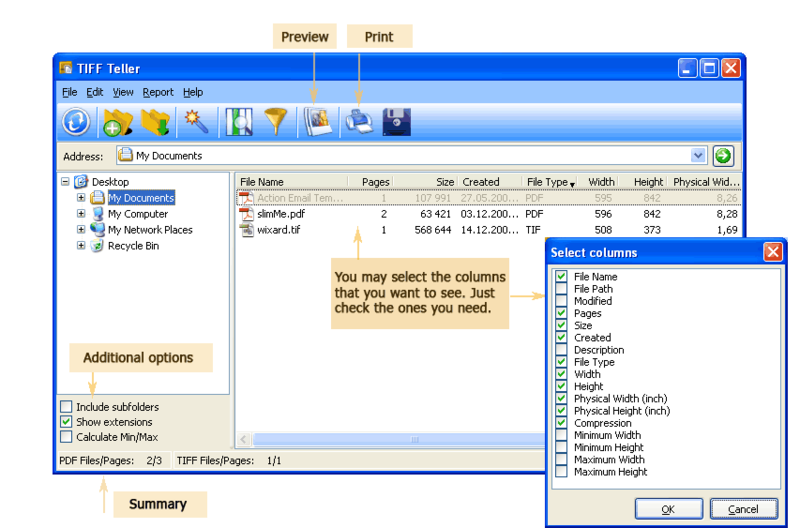 All you have to do is select a file and view file information. Besides, you can set the tool to only show you information you really need. In other words, you can switch off functions you are not interested in. TIFF Teller does everything by itself, without asking you stupid questions. All you have to do is click and select. You can get reports either in CSV, PDF, XLS, TXT or other formats. The program does not depend on Adobe Acrobat or Acrobat Reader. TIFF Teller is compatible with various Windows operating systems. If you have purchased the registered version, you can launch Tiff Teller from within other application, using the command line option. You can buy Tiff Teller online right now and use it all the time without having to renew the license. 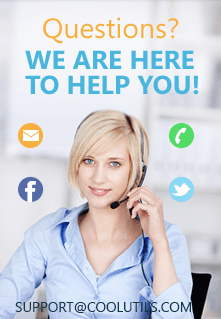 If you purchase the product, you will get all necessary support and technical information for free. If you are not sure yet, do not take the description on trust and download the trial version. You will be able to use it for 30 days. After the trial period expires, you are going to have to buy the registered version (starts from $27.50 for a life-time license).